This is just what I've been looking for to protect me from rain and wind on my spring walks through cemeteries, arboretums and the Seattle downtown shopping core. 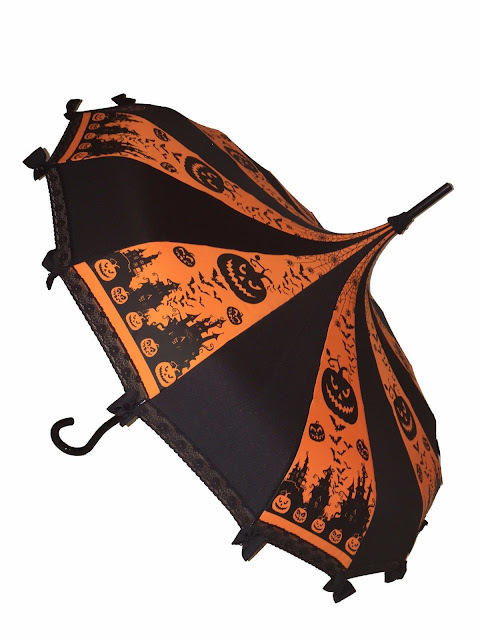 It's a Halloween umbrella from Hilary's Vanity shop on eBay. It's also my favorite style of umbrella - pagoda shaped! Picture yourself romping around a graveyard picnic, strolling by the seaside (well covered in high SPF sunscreen, naturally) and the looks you'll get from confused mundanes!